…what would you want to learn? This is a question that’s been tumbling around in my head for a couple of weeks now, but I finally decided that I should just ask all of you! Oh, how I would love that!! I will definitely have the room for it once the studio is done. And if those workshops require the use of power tools, I now have the perfect outdoor space that can accommodate several people and several power tools. Ever since my mom said that, it has been at the forefront of my mind. What a dream that would be! Over my years of blogging, I’ve had so many people ask me if I would ever do workshops, and I’ve had many more mention that they wish they could just come and hang out with me and learn as I work on my projects. This idea of hosting small groups in my home, sharing, learning, and laughing together, just makes me smile. It’s a dream I’ve had for a while now, and it’s something that I actually see as a possibility in the future. If you’ve read my blog for any amount of time, you know that I love all sorts of things — building, upholstery, sewing, painting, general home improvement. So how does one go about boiling that down into an actual hands-on workshop? I honestly have no idea how to go about it. But this is definitely an idea I want to develop further, because I just think it would be so much fun! And if I can pass on things I’ve learned over the years to other people, and instill confidence in people to head back home and dive into those projects that they didn’t think they could do, then it would be so worth it to me. And did I mention that it would be fun? 😀 I envision lots of laughter, lots of good food, and new friendships along the way. So I thought I’d bring the question right to all of you. If you were to come to a one-day or two-day workshop taught by me at my house, what would you want to learn? This post and those of you who answer will serve as my first focus group. 😀 I look forward to seeing what y’all have to say, and I can’t wait to start developing this idea further and seeing what I (or we) can come up with! Basic electrical, swapping out plugs and switches, hanging fixtures. Correct use of power tools. Install trim and crown moulding. Basic electrical as Lynette described. Furniture building – i.e. sectional couch! I agree!! My husband and ~I~ do a lot of DIY at home but he does most of the power tools and electrical. He isn’t a patient teacher and I would like to learn in a comfortable environment. I want to be able to cut and install my own trim, change out lighting and install tile. I always have to wait on him for these things because I am not comfortable enough on my own. PLEASE HELP! Cheri, I am self taught on power tools. I was well over 50 when I decided I was going to teach myself! My first project? I built an outdoor pallet table which means I cut wood to make the legs and have the sides look nice. Didn’t even dismantle the pallet. But I learned to use my circular saw and drill. You can start off very simply as well. Unless your husband doesn’t want you using his tools, have a girlfriend come over and go for it! But Electrical intimidates me more for personal safety & long term house safety. Would love to become confident with tools, painting,colors ,taking out walls, your beautiful decorating ideas, electrical, where do you get your knowledge on who to hire when you need help. Can i volunteer to be an apprentice. Agree with the basic electrical stuff including replacing light fixtures. Reupholstering is second priority. As I am brazilian and with the exception of reupholstering, the other items in my list are very diferent there, I m having a hard time with them. I agree and emphasize basic electrical, install crown & base moulding, upholstery. With a side of play with Cooper. Yes to all of this! And Kristi, if you do this, would you consider filming the classes so those of us who can not attend could still learn a little more in depth regardless of the subject? You could make them video seminars that we could pay for if we need that lesson. I know I would sure be willing to. I concur with Lynette, but if I had to choose- cabinet building. I am self-taught on many things, but I haven’t tackled some projects because I am not comfortable doing miter joint or figuring out peg holes yet. I bought a kreg tool a couple years back and I haven’t used it YET. I am in Louisiana but would definitely travel to you for this. LOVE the idea! Wow, what a great idea! I would love to learn how to use power tools safely and how to cut lumber to the right sizes. Upholstery instruction would be my number two. Spending a day or weekend with other women learning these skills would be fantastic! Cutting/measuring wood projects to the right size and doing all the math involved would be my #1! Followed by doing the same with any upholstery or sewing project. I agree with all the suggestions! I would add finish carpentry to the list! Your choice and use of moulding is always spot on and it looks fantastic! Mine always ends up a little off and I spend so much time caulking and filling and sanding to make it look good! !😩 I would sure like to learn how to cut trim correctly the first time! Thanks! Painting cabinets to achieve a smooth finish. YES TO CABINET PAINTING and everything Lynnette said. I SO agree with this. I’ve had a couple projects that I’ve wanted to do for months and I don’t really know where to start…what’s the best material to get? Is it worth it to buy tools or should I just rent them for now? And Rachel’s thought about finishing something so that it looks well done/well made…YES! All of the above! You could literally do a different workshop each month and have a full class 🙂 just put up some Yurts in your back yard so we can all stay on site and work as late as you want! I came to say this same thing! I would love to build a bookcase that’s all inclusive of these things. This is what I was thinking too! I often end up throwing projects together that look ok.. but I’d love to be able to take it to the next level. A more professional looking finish. I feel like people can guess what I’ve made and what I haven’t, and I’d like to put a stop to that. 🙂 I feel like I haven’t mastered filing holes and cracks and my caulking and all that stuff. It seems like you have also mastered how to ask the guys at Home Depot to cut down your wood just right. I’ve only had it done once and I felt pretty weird. Power tools don’t intimidate me. The thing I have the most problem with is measurements. I always seem to be off just a tad. And most every project out there starts with measuring. What is the secret? Yes this!! But the other ideas you received are awesome too. Great idea Kristi! I do wish I could come and learn upholstery from you. That’s my first choice also – upholstering. Yes, I’d like to build and upholster a comfortable, beautiful, and durable dining room chair. Basic use and safety with power tools, mitered corners. Basic furniture building. All.the.things! Anything! You have a real gift for teaching/explaining/demonstrating and I think any workshop by you would be a real success. Women, and maybe men too, would be lining up to take them. I would be there too if I didn’t live so dang far away! I love Rachel’s idea of a medium to large woodworking project from the shopping to the building to the finishing to look professional. I am not using my power tools exactly right. Also….how to use a tape measure…sounds silly but I know if I completely understood all the marking I would not make so many mistakes on my cuts. For fun….throw in some classes on some of your beautiful art projects! Would be awesome to walking away with a beautiful pieces similar to yours. THE TAPE MEASURE!!! Why can I not read a tape measure???? Agree on this one, which sounds like such a simple thing. I think I have some kind of mental block with anything requiring numbers. My husband will ask me what the tape says, and I respond ” Um, 47 and two lines left of the half?” Seriously, I’m 64 years old, I should know this by now! LOL! So I would like to learn how to use simple things, like the tape measure, a square, those dang stud finders, and maybe plumbing. However, would this make you liable if someone did something and got injured or caused damage? Kinda risky teaching electric if you aren’t certified, don’t you think? I wouldn’t want you to later get sued or worse! This made me laugh! 😂. I think they should teach this in school! I too was challenged, although I did know 1/8, 1/4, 1/2 etc. it’s the 5/16th, 7/8ths etc that always throw me. My husband bought me a tape measure that has the hashes on the tape marked/ numbered! No more guessing! I have always been intimidated of the table saw and would love to learn different techniques with power tools. And how to come up with a perfect paint finish. Upholstery too would be great. What an amazing idea! I think I’d most like to learn about the “finishing touches”- how to take an idea from board to room to “done” or polished. I’m ALWAYS working on “one last thing” and still hoping that I can get to my internal vision for my space. Also, I suppose for me, that includes how to deal with all the not pretty but totally necessary for life things- litter boxes, lamp cords, unattractive appliances, wheelchair accessories, food in packaging, etc. I hope that makes sense! I’ll be watching for any updates! I would love demonstrations of sewing techiques. i.e. how to match patterns when joining panels. How to adhere tape without it puckering. Best tips, not necessarily an entire project. I would love to see how you did some of the smaller art projects. e.g. pixel art, spoon art. I would LOVE an opportunity to participate in an online workshop for anything you decide to offer for those of us who don’t live in Texas. But, would love these videos to be very detailed. A lot of online videos end up leaving steps out and this is frustrating. Lastly, how to use power tools, especially saws. A lot of what you build generally requires the use of a saw to some extent and these things scare the heck out of me. I think a lot of us don’t have any experience working with these type of tools and there is really nowhere we can go to learn this skill. That would be my number one request. What a great idea! What if you did a series of workshops monthly. One month you could do paint related; mixing colors, adding additives, painting cabinets. Another month, building; picking materials, measuring, cutting assembling, etc. Just my thoughts. Good luck! How to use all those tools while making something grand. Oh, I love this idea!!! I am in Dallas, so I see a road trip in my future. Also, if you were willing to take people to Magnolia, it might sound even more attractive to the out of towners 😂😂 I personally would love to have a tutorial on how to use the Kreg drill thingy. It seems like everyone uses that to build anything, but it intimidates me. Good luck! Pretty sure I will be in the minority, but while I hugely admire your ability for all things building, wiring, plumbing, painting, etc. I, personally, would rather give that to someone else. However, I would love to learn how to do some of your artsy stuff; especially curtains. I have tried simple ones, and while I can quilt quite nicely, and am not ashamed for anyone to see them, the couple of times I have tried curtains they absolutely look disgustingly home made. Kristie, basic skills with power tools, changing out a light fixture, changing a receptacle, installing backsplash tile, changing a faucet, with many women on their own, learning basic skills to take care of things around our homes. You are so very talented make a list of all the things you can do and go from there. Sewing, upholstery, painting inside and outside, art work, wiring a lamp etc. If I lived closer I would be one of the first in line!!! This! I’m so glad I’m only 1.5 hrs away from Waco! 🙂 I was an art major in college, emphasis on 3-D design, so I knew my way around the woodshop. I would LOVE to learn the basics of plumbing and electric though, so I wouldn’t have to pay someone to change out a light fixture or a faucet. Those things absolutely terrify me though, and let’s just say I am the handy gal of the house. And SEWING. I can barely sew on a button–anything other than that gets sent to the tailor. Would love to know how to complete basic sewing projects. 1. How to replace light fixtures and basic electrical. 2. How to upholster chairs including adding upholster to the back of ladder-back style chairs that are not already upholstered. 3. How to create resin artwork and pixel artwork. How to use power tools would be top of the list! Then how to paint correctly. My first thought was showing others how you do your abstract paintings. The way you bleed your colors together and then the students can take their artwork home. Another one could be rehipostering and another making drapes. Huge right now is painting cabinets. I think any of your art projects would make fantastic workshop material. I like the pixel art and the epoxy art. Upholstery, drapes, with a field trip to Magnolia. I think the artwork projects would be best. I’d love to make the bleed artwork, but I’ll never have the time or money to invest in all the stuff to make it at my house. I also love the resin projects, the pixel flowers the scallop mirror. I’d love to make a smaller version of any of those for my house. I live in Waco and have started seeing lots of local places offering one off art classes, and they seem to all fill up fast. Personally I think there are enough online tutorials explaining the basics of electrical and carpentry that focusing on stuff where people have a project and a tangible product would do best. That’s what I would be most interested in. I can also see you offering small-group parties. I could see friends getting together for a girl’s party to do a project with you. I agree with a lot of the previous posts. The great thing is that you could put together several different curriculums on different topics and do multiple workshops that cover all your interests. Then you could see what is most successful and fun for you and continue to adjust until you find your groove. That’s s really exciting idea! I guess for draperies the person would need to bring the fabric/supplies to make one panel. I would enjoy anything. But some on my list would include upholstery and furniture painting, gallery walls, how to mix colors in a room and the list goes on. I would have to fly in so would need a hotel list and car rental info. This is a great idea. There are lots of airbnb’s In Waco. If Kristi had one,I’d stay there! Dang it! Why can’t I live closer (insert really sad face here). If I lived in Texas I would TOTALLY come for a workshop! You just know so much! You could teach your art/acrylic techniques, the drapery techniques, basic frame building techniques, I mean it’s endless!! Basically everything you’ve shown us I would love to learn! In no particular order, I’d love to learn (and not be afraid of) electricity; swapping out fixtures and retiring plugs, but getting a true understanding of it is key to allaying my fear of it. Next, I’d love to know how to do trim work. I long for beefier baseboards, crown molding, improved window trim and how to make things look pretty like your porch posts. Lastly I’d like to be more computer literate especially when it comes to photoshop and designs on a computer. Good luck with this project! There’s definitely a need out there and you’ll be helping women everywhere to learn new skills. YES to all of that and more! Upholstery is right at the top of the list. So many times I’ve had the chance to get an ugly piece of furniture but haven’t felt confident enough in trying to reupholster it to make it nice enough to use in my home. Also love to learn about cabinetry, electrical basics, drywall, making professional looking drapes. Just about anything you’ve done is a very worthwhile lesson for workshops. For most things it would probably take about 4 to 8 weeks of once a week classes to get it down. Some art things and easier skills might only need one or two classes. I know you would have no problem getting participants. I think workshops would be a wonderful idea for you to do. Oh my gosh, just anything! All your projects are awesome. But I think one thing I would love to see demonstrated is the scroll work on the sliding doors leading out of the music room at the back. I really want to replicate that but am too afraid to take that one without more instruction. That would be something that would be awesome to see done in person and would empower me to do that project. Oh, and sewing curtains. That would be awesome too. How about doing this same thing in an online teaching session much like the virtual classrooms for homeschooling. You in your studio, us in our garages/porches/etc. Decide on a project, interested sign up, materials list sent out, we begin. So many more could have your hands-on mentoring. Hi! I’m Kristi’s sister. For those of you who don’t know… Kristi LOVES to laugh. I mean a REAL belly laugh. Hanging out with her always includes lots of laughter. I don’t think anyone who attends one of her workshops would ever go away without some good info AND good, fun memories. I’ll definitely attend some, myself! I love that Kristi’s sister’s name is Cathy. Seems right, somehow!! 🙂 I just know, if I didn’t live in Montana, and she didn’t live in Waco, that we could be great friends. Actually, Kristi has two sisters named Cathy/Cathi. Cathi is our “bonus-sister”! Well, if we’re gonna play that game, you apparently still have an opening for a Kathy! Using power tools, basic carpentry, and basic electrical would top my list. Fantastic idea! It would be fun to replicate the workroom portion of “Flea Market Flip” and have a weekend of re-creating and redesigning furniture. Also I’d like to learn to reupholster a chair (not just recover the seat). I’m not sure I want to learn electrical, but some basics might be in order … like knowing when to call in the guys. This all sounds like FUN! As someone who live in Oklahoma I would definitely travel for a fun weekend workshop. Art, small upholstery, and drapery are all things that people could pack up in their car and take home. I love everyone’s idea on a project planning workshop (but maybe you could do that as a printable and e-course that you can sell). Check out Christy Wright’s Business Boutique (https://www.businessboutique.com/). There are free resources there to help you take this idea from dream to reality. Your idea has real potential – don’t be afraid to run with it!! Here’s an idea for the future. On the back part of your property, build a little mother-in-law style tiny house where people could stay while in town for a workshop. But- TWIST- you could have workshops that help you build it! Want to learn how to frame a wall? Want to learn how to drywall? Want to learn how to run electrical and place outlets? Here’s a chance for everyone to practice hands-on! Help with a built in bookcase? Installing a sink? Making curtains? Making artwork? Tada, here’s the little house that your dedicated followers built. Would be a fun way to incorporate some big projects on site for those more adventurous people. Personally, I’d want to do more of the finishing stuff. Upholstery is always a biggie I wish I knew, but I’d have fun learning anything from you. Oh my gosh what a great idea. Those with different interest could be invited to different phases of the construction project. Ditto Allison’s idea! I’m down for it, over 60, and flying in from Southern California. Your skills are so varied, I have a difficult time choosing. How about a different workshop each time on whatever you are doing at that moment …. or on something you have just completed and are really happy with? It will be fresh in your mind and you will have already figured out the very best way to do it, and perhaps even still have some materials on hand? Start small, work up. Keep your numbers limited. Eventually, work up to a several day event that would be attractive to out-of-towners (staters!). Then, you’ll be blocking out rooms, enlisting corporate sponsorships, hiring catering, etc. This could go big time! A Kristi Konference! For myself, I would love to learn more about construction techniques and upholstery. I already do a certain amount, but I would love to feel confident about pulling out the table saw and just going for it. Would love to come to Texas and have a side trip to Magnolia Market! I’d like to learn basic power tool safety (I am scared to death of a table saw but need to learn how to use one! ), how to measure and cut crown molding and cabinet building! I have learned so much already from your blog and SO appreciate all your great tips. Please consider videotaping as you teach, or just as you work. Please don’t feel self conscious! All of your followers already love you! oh my, I’m so far away from you, what a pity… I’d love to learn how to trim out simple pieces of furniture (or walls/ceiling, doors, door frames…) the way you do it (I am still in awe of your pony walls!!!) – and even though I’ve read all about it on your blog, that would be something I’d be grateful to see live and get some hands-on experience. Another thing I’d love to learn from you directly would be how to accomplish the perfect surface when you’re painting furniture. But the most, I’d love to have the opportunity to get to know you personally, because you feel so much like a friend to me.. there are so many evenings when I tell my husband “what Kristi did today” as if I’d been there and watched you. But living in Germany, I guess I’m not going to make it for any of your workshops. That’s why I second the idea of online tutorials being filmed, perhaps during your future workshops, if that is at all feasible. For those that can’t possibly get to Texas, whatever you teach, could you please please put it online? I’d pay to learn virtually. I really need the basics like just fix and paint a smooth wall. Why is this so hard?? I think the best model for this type of workshop, esp if people are paying to participate. Is one where the participant leaves the workshop with a tangible item. If you want to teach women to use power tools. Isolate the tool you want to focus on and create a small project that uses that tool in a variety of ways or multiple times so that you have multiple chances to use that tool. Sponsorships maybe able to be used as your getting a certain companies product into potential customers hands. Also something that may require stations. Say your building a frame with a kreg drill. You have kreg station, sanding station, painting station. Another one might be upholstry. You show your participants how to upholster a simple chair you pick up at flea market, show them how to measure, how to take it a part, techniques for choosing and draping the fabrics. At the end everyone designs and sews a simple throw pillow. I think all of this is a great idea but you in essence are teaching a class to live audience so just make sure you have a way to keep the participates engaged and active. Sewing curtains…from picking out the right type of material, to getting it square, to cutting and lining and pleating! Attending a workshop (or several) hosted by you would be my dream come true! I’ve followed your blog for several years and am amazed by not only your building skills, but your determination, lack of fear, and willingness to re-do a project you don’t like, rather than live with it and be unhappy despite the opinions of others. Because of you, I have dabbled in cabinet building and other DIY projects. Many times, I have showed my husband things you have done that I want to duplicate. It would be great to hang out with you, laugh, and get to know you on a personal level while learning valuable skills. I have MS, so appreciate that you are renovating your house to conform to Matt’s needs…something newer houses don’t usually offer. I live out of state, but would be more than willing to drive down and participate. You are a valuable resource and inspiration to me and so many! upholstery, please. I have a lot of furniture that needs it. Got so excited when I saw the title of this post. I live in Houston and would definitely drive down to attend your workshop in Waco. Correct use of power tools. Building stuff is my number one interest(install trim, crown molding, make picture frames, custom French doors, framed bead board ceiling, shutters). Would love to have hands on training of every building project you have done. Prefer to spend all of the time doing actual work instead of making trips to Home Depot or Magnolia. I need to improve my upholstery skills. Any chance you could create a video? I live in Michigan……. I think you’re Mom has a wonderful idea! I follow you because I love how detailed you are with your projects. I think just having a workshop showing the projects you have tackled would be amazing! I know we can see your blogs but to see it in person. Maybe you could expand in detail on subsequent work shops. You are amazing! 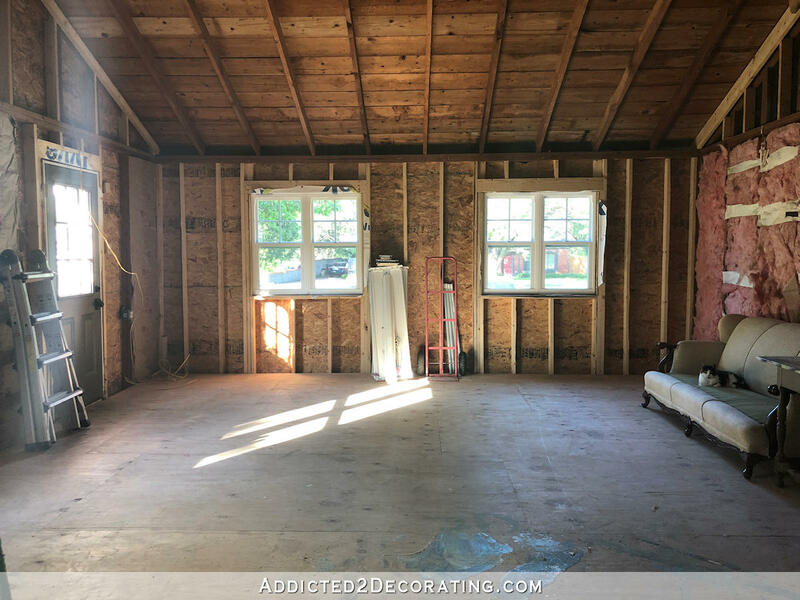 I would think that while you still have so many projects to do and so many rooms that need work in a variety of ways, it would be easy to do a variety of different workshops as you work on these rooms to get a taste of what topics you enjoy teaching. For example, when you start working on your bedroom or your office, there will be floors to refinish, furniture to build, all kinds of things to paint, things to be upolstered, window treatments to be made, light fixtures to be wired and hung, etc. What if you planned out specific weekends to work on each of these things in advance and opened those up for workshops? That way, participants could see proper prep, execution, touch-up, and clean-up. So, for example, if there was a floor refinishing workshop the first weekend in November, and that is when you are going to do your office floors. If there was a furniture building workshop the first weekend in December and that’s when you plan to build and install an element of your built-ins. Do landscaping/exterior type ones in the spring. Doing your office and bedroom projects in this way could let you experiment with a variety of different topics for workshops to figure out which ones work best to revisit, and make a list of what projects work well for workshops and which ones are difficult to execute in that format. You could do a drapery workshop when you redo your white breakfast room drapes that you have gotten bored with… everyone could bring their own sewing machine and measurements of their windows, you could teach the proper way to calculate how much fabric you need, everyone could go to dinner and fabric shopping together Friday night, and Saturday and Sunday could be sewing days. If you have a nice day, you could set up folding tables in your studio and under your covered carport for everyone to set up their machines and sew together. Hope you bring this to fruition. Good luck! I would love to learn how to use power tools. Also, I would love to know how to install trim and moldings. Basic electrical would be nice and I would love to learn something about laying tile. I’m 3 hours East, but I would definitely be there. WOW, I would be on the first plane there I could get! I would love to learn more upholstery, more on the pixel art type stuff, Holy Moly, ALL OF IT! My biggest, most complete mess of things I make is proper measuring/cutting. I can use power tools all day, my down fall is the actual building. I am dyslexic, and something gets lost between measuring and cutting. (One side is longer than the other) type thing. I’ve tried and don’t know anyone will take the time to show me that I can make heads or tales of. I don’t respond much, but I have read this blog in complete admiration for a while now. Your knowledge is astounding. Knowledge is meant to be shared, it helps no one when kept to oneself. I’m a great chef, and I love teaching people everything I know. So, I completely respect your desire in this endeavor. It completes a person somehow. and maybe have someone video the workshops or sections of them so those of us millions of miles away can also learn. You are definitely on to something here. Hubby and I are flying down from Vancouver BC, to the silobrations in October and one of the first people I thought of was you. How I’d love to meet you and Matt. Too bad you don’t have an Airbnb in your home. I’d love to learn how to do builtins, sewing drapes, reupholstering and those beautiful paintings you do. Who knows, maybe one day in the future we’ll take another trip there just for a class. I’d love a workshop that I could take a small project home with me (paying for materials and your time, of course). Maybe building/staining a small wall shelf w. decorative trim – using different tools to build it and talk about the best way to paint/stain it. Building a window style flower box – for inside or outside. Making an art project on day one (like the alcohol painting) and then day two would be building a simple frame around it. How about a sewing workshop? Like a bring-your-own-machine kind of thing. Maybe make a throw pillow case with some kind of embellishment like your greek key curtains and a zipper. Maybe a once-a-week, month long type of workshop. I did a stained glass class like that once that I really enjoyed. Then you could build something more complicated like a small book shelf or something. Hi Kristi, I am a long time reader of your blog and am always in awe of your talent. I would like to participate in a workshop where we build a piece of furniture. I think it would be most helpful if we each had our own project to work on and it would be something that wasn’t so straightforward. I’m in Virginia but would love to come out and learn from you!! General design 101 kind of thing. Small project build (end table/sofa table, bookcase, etc). Upholstery. I think upholstery might be your biggest opportunity. There’s lots of tutorials and things for most DIY stuff…but upholstery might need to be more hands on, it’s very intimidating. Good luck designing your workshop! I’d definitely talk my mom into a Waco road trip (from Indiana) with me to attend! She’s right and you actually make bias cut piping, everyone skips that and uses that stupid glue on tape. It seems like a lot of people just want to see you do it all in person. What if you find someone who wants you to help them do something specific (rehupolster a chair, build a table, sew a curtain, make an art piece). Then, you can invite a certain number of people to watch/help you do the project? Or just regular workshops are cool too! I’m not near Waco, so I’ll miss out regardless ☹️ Great idea though! I would love to do a fun art project! Be great if you could video some of the workshops seems I’m 15+ hours north of you. LOL! Not sure I could make the drive. Too many responses to read all of them but….ALL OF THE ABOVE! So many great ideas! I just want to do all. But for me especially, I’d like power tools 101 including cleaning (sprayers), changing out saw blades (miter and hand saws), and other idiosyncrasies of commonly used power tools. #2 item on my list is upholstery or slipcovering though I don’t know if you do that. #3 how basically to not be AFRAID of all this stuff all the time, lol. Oh man, I’d sign up for probably every class you offered if you decide to do this…..
Electrical, crown molding, painting techniques, upholstery. Oh my gosh EVERYTHING. Oh! And show me the way to gain courage to try and how to be brave enough to just throw it away and start over! I would love to take lessons on doing artwork. Not actual paintings but art with colors, and using items like the pegs, spoons, etc. I would come to Texas from SC for a 2 day seminar! I would love to do an intro to tools, Rachel’s idea of a medium build for furniture, upholstery, electrical/wiring, and art projects. Since I’d be flying in from Iowa I wouldn’t be able to take a piece of furniture back with me, but would love to donate it to a local non-profit instead. But some ideas for you. I know people would love to come to Waco to see your projects, the Silos, the Gaines’ restaurant, bakery and other things Waco. Like I’m one. I know three ladies who did a trip there from AZ just for that reason. Well not to see you cause they did not know about you or they would have. The chateau person even lets people help with restoration. Oh Kristi. I want to learn everything! I love all your ideas. LOVE THIS IDEA!! I’d love to learn how to frame out a new doorway opening (basics of framing interior spaces), use of a nail gun, installing moulding (crown, window, door, baseboards). Perhaps a workshop on overcoming the paralysis and having confidence to just do it, a la a recent post of yours 🙂 ..
That is a great idea! I can’t tell you how many times I have said to myself, I wish that I could watch Kristi as she actually goes through the process so I could learn the various techniques as you accomplish your various projects (especially on the projects where you are working with wood). 1) Power tool usage of different tools and various techniques used in a variety of projects. Given that your target market is primarily women and that there are not a lot of classes targeted to women, that would be a big benefit. Home Depot had such classes aimed at women but that has been about 10 or more ago and I haven’t seen any since. 3) Basic Electrical – Replacing outlet boxes, switches, fixtures, etc. (maybe even installing some new wiring). 5) Painting techniques to get that smooth as silk finish. I love this idea!! I could see you doing a series of workshops—broken down more by categories (upholstery and sewing, painting, electrical, power tools, basic and advanced builds). I personally would love to see you walk through a cabinet build—start to finish. I have such a hard time getting my boxes built completely square, and knowing what I need to pre-drill and lots of little tips/techniques. And as so many others have pointed out, am I using my power tools correctly/to their fullest extent? I just informed the hubby that we are quite possibly moving to Texas! After you have whatever classes you decide on in place, you could offer OJT opportunities to a couple of people at a time. A helping hand could be useful for you, even if we are mostly your gofer. How could that work, first come, highest bidder? I can’t wait! Sewing proper window treatments. I’ve made several from your tutorials, but I’d love to learn more! Anything wood related: cabinets, crown moulding, butcher block, etc. Art, art and more art! I’m loving the resin phase and would love a day playing with it and other art projects! You have many, many talents and accomplishments. The one that stands out to me, that I would like further instruction from you specifically about, is how to look at a room and decide what cabinet work, built in bookcases. molding, wall trim and crown will best improve it I am so admiring of your eye for this. We can learn how to do electrical by reading a book about it and watching YouTube. It is your decorator’s insight and knowledge of proportion and finish that sets you apart, at least for me. And don’t give up on your pantry! I think your preliminary designs are spectacular. Unless you want a string of people all through your house, perhaps you might want to postpone this until your home is finished. Perhaps you might want to do a remodel project after that, somewhere at another site, so that your home can remain a sanctuary of calm and rest for you and your husband. 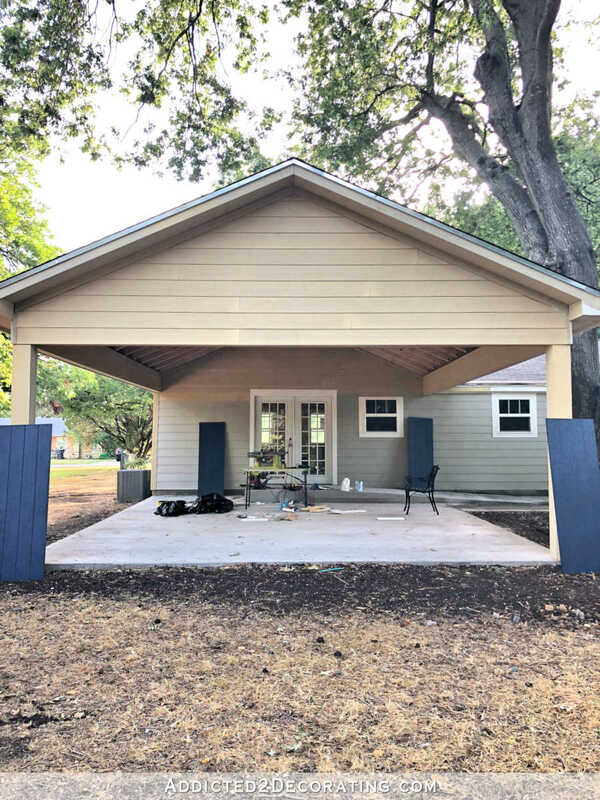 Using another project house would allow you to do projects with your workshop attendees and not have it be so excruciatingly perfect, as those in your own home would be. Plus, you can then tear it apart after these people leave and do it right ;-). And suggest that your guests allow time to see the Magnolia Empire on their own. As exquisite as Joanna Gaines’ taste is, I’d so much rather spend my time with you learning from you. I would suggest you give some thought to various broader areas of interest such as basic home design, construction, exterior work, interior work, systems such as electrical, plumbing, heating and cooling, interior decorating broken into segments such as types of homes, room functions, draperies and curtains, upholstery, color decisions, landscaping, shopping for materials, buying and safe use of tools, painting, hiring contractors, managing finances: you get the idea. Then plan a logical outline of class(es) for those areas, taking into consideration people’s input/interest, your ability (perhaps having guest speakers), and your space/energy levels. Sure, planning can be a pain in the katooki, but putting some logic behind what you want to do will save you from grief in the long term. And consider whether you want to charge for your time, etc., or do it for free; maybe a combination of both. View it as a business even though you do it because you enjoy it. In any case, best of luck, and keep on doing what you love. Painting a mural, painting with stencils, or painting with the greek key border. Heck, I would like to learn anything you are willing to teach. If you did a planned workshop or a few related series with locals start with lessons on a style of poured art. Next, teach how to build a custom frame for it, then paint/fill with power tool safely. An advanced one would be to help design a bench to teach some more advanced “thinking ahead”, then the actual build with a peek into upholstery. Or allow people to commission a lesson or series on a doing a similar project from your portfolio…your blog. Have the caveat you can say no to specific requests. Once I hired a gal who was starting out as a furniture restorer, to come to my place and walk me thru re-finishing some chairs. I knew I couldn’t afford her service, but wanted to make sure I got the right stuff and process for what I got. I was willing to pay for knowledge and guidance. Maybe give a discount to those willing to be a student on camera, to turn a few old tutorials to videos depending on logistics. I believe you already know if you go to someones place and do something, you may need a licence for it. I bet you can go for a contractors licence if you wanted to at this point. Plumbing & electrical would require a set-up for whatever it would be. Sometimes lot of the details, are key into what you are doing, so that can get iffy, unless it’s like modifying a light fixture, not wiring a 3-way circuit. Also maybe less business-like, but see if a local habitat group is nearby and see if you can help physically, then share when you are building so others can sign up. Then most of any tools and liabilities are covered, and you get coached about coaching. All manners of cutting wood. Your leveling of the porch floor had me in awe. Using the compressor correctly. I would definitely sign up. I have given up reading all the replys. It is a given Kristi by the number of people who have expressed opinions it is a must for you. I would love to attend courses that you put on. I live in Colorado but would travel if you could put together a class schedule then I could plan to attend the ones that would work for what projects I have planned at that time. Real excited to see you get this off the ground..
I’m local, so really exciting to see what develops!! I have always marveled at how you take several styles of trim and combine them. Also, I’m sure you could have a volunteer crew/class to do some basic landscaping,etc. eg.-you hold a workshop to teach laying a floor and then you lay the floor in your workshop with the class! -a cabinet building class to build your pantry cabinets and then another class to build your studio cabinets and shelves. Basic electrical – changing out fixtures, replacing outlets, etc. and correct use of all the power tools, especially the air compressor. I live in Texas and would be open to traveling to Waco. Alas, I live in Florida and am not likely to be able to attend any kind of workshop in the near future. Also, I don’t really have workshop space, so I’d be interested in the smaller, finishing items, likes artwork, re-upholstering, etc. Do keep us posted on what you finally decide and if you decide to bring your talent/skill to Florida, do let me know! I have a spare bedroom!!!!! I say yes to all the ideas (esp. the power tool ones – I am scared to death of table saws as I know two grown men who have lost fingers to those horribly scary beasts!). Add into the list pointers on how to box and ship our projects home if they don’t fit in a suitcase! Uh-oh. I see a guest house in your future😃. How fun would that be, another whole house to decorate! Maybe with some cool bunk rooms to accommodate many people! Another exciting avenue to explore. I know you’ve probably thought of this, but the liability could be huge when it comes to power tools and electrical! Make sure you investigate that aspect and protect yourself. Everyone is your friend until they hurt themselves or burn thier house down and want someone to blame🙁. Unfortunate aspect of the world we live in. Woodworking (building cabinets, shelving, etc), refinishing furniture, and reupholstering. How to use power tools. How to plan a job. How to do install mouldings. I would be interested in any workshops. reupholstery, woodworking. I have a general idea, and there’s always You Tube, but being able to stop and ask questions when I get stuck would be great! I’m an artist and I wanted to start teaching Paint Nite classes, but I had no idea how to go about it. I’m also a shy person so that was a huge thing for me to overcome. I just started small and dove in head first. I’ve been teaching them for 3 1/2 yrs now and they have been very successful. They just keep getting bigger and bigger. The most important thing I’ve learned is to plan, plan, plan. I make sure I know how I’m going to break down each step to make it easy to understand, make sure I have enough of each thing we will need and that the project can be finished in the allotted time. I have to consider it will take them longer to do since they may have no experience. I love being able to teach people who have never painted anything that they really can paint something beautiful! They end up being so proud and surprised at what they can do. They love it so much they can’t wait to come again and bring friends. This is so much more fun than I ever imagined. I hope you will enjoy teaching your passion as much as I do. We need a whole weekend for this….A Kristi DIY conference! Everything you do could be turned into some kind of workshop for people that want to learn that particular skill. You could do a beginners or basic skills workshop for each category: woodworking, electric, plumbing, upholstery, sewing, artwork, etc… Then you could have more advanced workshops for each that include are for the more difficult things like crown molding, running electrical lines, moving outlets and such, installing tubs, making draperies, upholstery with trims or added sewing, etc… You could have classes on basic tool usage/maintenance, as well as what type of tool is better for each job and accurate measuring for better results. I personally need help with measurements. Even though my husband and myself think we have measured very carefully, it seems like something is always off just a little tiny bit. The next thing I’d like to learn more about is the table and miter saw and how best to make cuts and miters on them. I’d love to learn how to do crown molding, upholstering, basic sewing and some of the artwork you’ve done. I think you’d do great if you choose to do this! I would just be careful and make sure you have a great security system in your home if you are planning on doing this in your home workshop. You never know who some of the people are that might take the class and what they might be doing or planning on doing later. Also, I don’t know if your home insurance would cover something like this or if you would need to add extra coverage. Just some things you might need to think about before doing this in your own home. That would be a great opportunity. Personally, I have become interested in many of your projects. As far as what I need, and would like to do at my home, I would like to learn about power tools (saws), painting cabinets, and reupholstering. I love decorating as much as you do but I REALLY love fabrics. I have read your “how to’s” for sewing curtains, however, I am a learn-by-watching kinda girl. I vote for a class with you to learn how to make the beautiful curtains you create. You are one gifted lady and I admire your strength to get huge projects done. Curtains – I would love to learn how you make your curtains. Lined would be my first choice. I sew my own clothes and some soft home décor. Would like format curtains. I would LOVE to make the part piece in your music room or living room. They would be great workshops to attend. Anything we would make would have to transportable, keeping in mind that some of us would be flying. Looking forward to hearing about future workshops. Since I don’t live in Texas it is unlikely I’d ever be able to attend, but I would love an in-person demonstration of base boards and crown molding. It’s such a simple and easy thing that can really improve the look of a room, something some DYIers might like to try themselves. The part that worries me the most about that is cutting the angles. I’ve read your post about how to do it, but an in-person demo would be best. I would love to spend a weekend learning from you. I’d like to become comfortable with a circular saw. jigsaw, and table saw. I’d like to learn to install overhead light fixtures, baseboards, and crown. I might enjoy learning how to upholster something simple. I would not like to learn about making wall art, but would love to learn how to frame artwork. I am very excited with the possiblity of meeting you. You have greatly inspired me. Even if you didn’t teach a workshop, I’d enjoy having a conversation with you. Woodworking!Learn to do crown molding, trim, build a bookcase, bench, etc. and learn to use power tools to accomplish those tasks. Upholstery would be my desire. 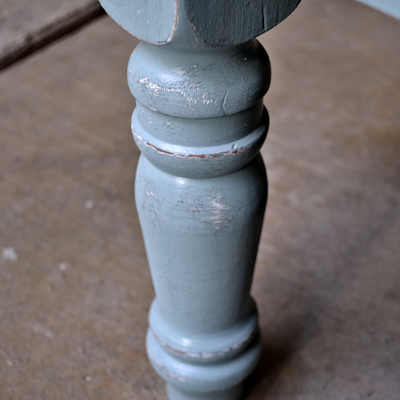 Your blog makes me want to tackle it with gusto, and your tutorials are amazing and give me confidence that I could do it … but ultimately I am so afraid of tearing my furniture apart just to end up with something that doesn’t stand up to use in the end. I would like to improve my knowledge of cabinet making, trim of windows and doors, installing drawers and doors on cabinets. I took a few classes in woodworking but I still am unsure of some of these tasks. The reason I love your blog and why I am inspired by you is you show females that they too can operate power tools and build things. I hear so many times where women have to get their husband to cut something with a power saw or they are afraid of a drill or nail gun. So any workshop you could do to empower women would be awesome. I wish I lived close enough to come to your house. Kristi, Do you have any idea of how imaginative and artistic and handy you are??? I would love to have you offer several weekends a year for The Timid, the ones who are scared to choose a paint color, to paint a fiberboard woodgrain bookcase, to find a stud (in the wall! LOL), to pick up and use a battery drill. You should run workshops for accomplished DIYers, but also Gentle Introduction to Becoming Handy in Your Home workshops on other weekends. There are lots of colleges in Waco. I wonder if video/audio could be farmed out to film students looking for projects they need to get their credits and/or real-life experience? I would bring a tent and sleeping bag. And I hate camping! I don’t have anything new to add to the list, but I’d like to add another voice to the cabinet making, trim work, electrical, and upholstery camps. You’re amazing. It’s hard for me to imagine any class you offered that I wouldn’t fly from Maryland to attend! I love this idea! I want to learn everything you teach!! Kristi, start with something you are so comfortable with that you could do it in your sleep. I like the idea of trim carpentry. The idea of being able to take a bookcase or cabinet and make it look more beautiful or make it seem “built-in” would really appeal to me. The ability to add molding to ceilings, windows, and doors or to existing furniture to make a custom piece would be other projects I’d like. Also, as a basic, how to read a tape measure correctly so you are confident in your measurements. Measure twice, cut once is good but what if I don’t trust my measurements. Oh, and definitely angles, corners etc. My second request would be upholstery. It costs so much to have done. Kristi, as you are planning, be certain to check with your insurance agent. When you get into something like this with injury potential, especially if you intend to teach electrical, etc., you may have a liability risk that needs additional coverage. Also, there may be certain requirements in your city or state as to who can teach electrical, plumbing, etc. Those need to be checked out. If you don’t have experience in planning and holding training classes for adults, you may want to read up on it. I did course planning, writing, and instruction during part of my career and I remember when I was first starting that it wasn’t as easy as I thought. One of our first exercises was to write down the steps to tell someone with absolutely no knowledge how to change a tire. Try it for fun. You may be surprised to find out what steps you leave out because of the knowledge you have. It was fun going over everyone’s answers and no one in the class got it correct. Would be glad to help out in this area if you would like to have some help. Feel free to contact me. P.S. I was also a project manager and that’s why I automatically think of all this weird stuff to check out. Or if you do hold workshops, I would like to learn about walls – supporting or not, taking down, putting up, what goes inside (electric and plumbing) dry walling, painting, sanding, trim, etc. And all that stuff Lynette said up at the top. What a fabulous idea, Kristi. I would say cabinet building for me. I seem to have issues keeping right angles straight! I would fly from Australia to be taught by you! True! * I know some electrical but would like to get better at it. Want to install some ceiling fans. Pretty good list for a 60 year old.